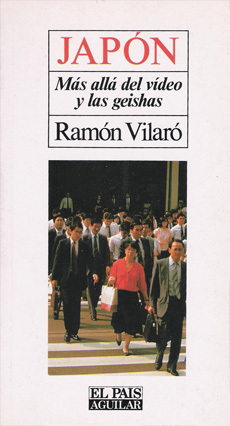 Written in report style, this book not only tackles the economic and commercial aspects that distinguish Japan, Ramon Vilaró also analyzes the peculiar Japanese social layers, so different from the developed societies as the European or American. The basic facts differentiating the country of the Rising Sun from the western model are its historical roots. The Japanese society is marked by an insular isolationism, together with the impregnation of a code of ethical values founded in Confucianism, and a strong sense of the group, rooted in the Japanese soul. The country's political stability, its peculiar education system, the importance of company-home relationships and the pragmatism and consumerism of the modern Japanese person, are a few of the other aspects that don't escape the author's critical pen. The author reflects particularly critical eye that allows a more authoritative to the contradictions of Japanese society, full of contrasts. Anyone going to Japan can check. Ramon Vilaró, brilliant journalist who has spent three long years there, he explained in an entertaining and brilliant in his book Japan beyond video and geishas. A story book that addresses not only the economic and commercial aspects that distinguish today on merit to Japan, but it analyzes the most peculiar Japanese social fabric, so different from Western. Vilaró is embedded in the complex Japanese society, as it defines it, to try to bring the Western understanding the mentality of the Country of the Rising Sun.